www.apeamcet.org – Andhra Pradesh Engineering, Agriculture and Medical Common Entrance Test (AP EAMCET-2013) Exam Notification, dates and Schedules to apply online. 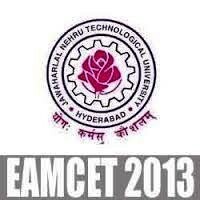 Jawahar Lal Nehru Technological University, JNTU Kukatpally Hyderabad organizing the EAMCET 2013 on behalf of APSCHE – Andhra Pradesh State Council for Higher Education. EAMCET is the entrance exam for the admission into the first year of the following professional courses offered for the academic year 2013-2014 in the state of Andhra Pradesh. 1. Engineering, Bio-Technology, B.Tech (Diary Technology), B.Tech (Ag. Technology), B. Pharmacy, B. Tech (Food Science and Technology FST)/B.Sc. (Commercial Agriculture and Business Management CA & BM). 2. B.Sc. (Ag.) / B.Sc. (Hort.) / B.V. Sc. & A.H / B.F. Sc. (You can pay the application fees at AP Online Centers / Mee seva centers or e-seva centers) or also you can the fees through credit card/debit card via online portal. To apply for AP EAMCET 2013, keep visiting freshersplus.com, we’ll share the direct link to apply in next update.